PRICED BELOW TAX VALUE!!! Move in ready home in the Reems Creek area within walking distance to downtown Weaverville. Expansive open floor plan with soaring cathedral ceilings. Space flows from large living room to dining area & kitchen out to a beautiful sunroom with an attached expansive back deck. Plenty of room for entertaining guests. Large owner suite has huge closet, garden tub, separate shower & large linen closet. City water, sewer, & natural gas. Lovely mountain views year round from the property. Lovely garden spaces ready to be tended. 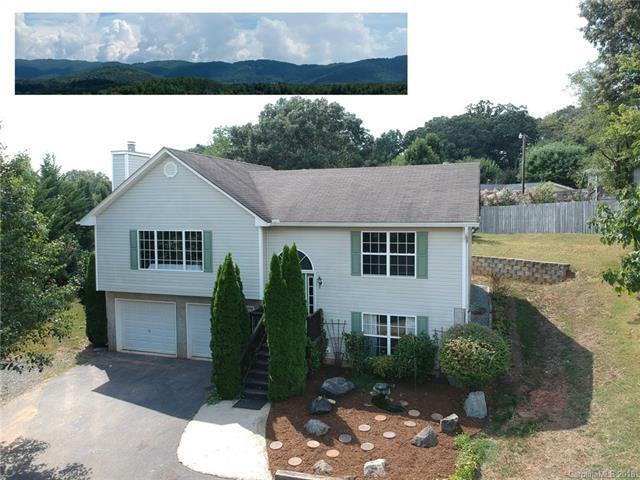 Beautiful private area yet super convenient to downtown Weaverville and I-26.